Baldness, also known as alopecia, is when some part of the body (particulary the head) has an absence of hair. The most common form of baldness is a progressive hair thinning condition called androgenic alopecia, which is commonly referred to as 'male pattern baldness'. This form of hair loss commonly occurs in adult males and can begin as early as the teenage years. Hair loss can start in different areas but is usually at the temples or on the crown of the head. Initial thinning of the hair progresses over a number of years and eventually the top of the hairline meets the thinned crown, resulting in a horseshoe pattern of hair around the sides of the head. Complete baldness of the head occurs when the rate of hair loss exceeds the rate of hair regrowth, or when new hair grows back thinner or in patches. Women suffering from hair loss rarely develop the same bald patches that men do. Instead, they experience a more uniform thinning of their hair across the entire head. Common baldness is usually the result of hair follicles that begin to shrink over time, resulting in shorter and finer hair regrowth. While the exact cause of this shrinking is currently unknown, heredity, hormones and age are believed to be major contributing factors. A history of androgenetic alopecia on either side of the family increases the risk of balding. Heredity also affects the age at which you begin to lose hair and the speed, pattern and extent of your baldness. Note that this type of common balding is usually permanent, but some of the remedies below may help to slow down the hair loss process. Hair loss can also occur as a result of certain diseases or infections, trauma, diet, medications, hormonal changes (such as during pregnancy), or improper hair care. In such instances, hair loss is usually very rapid or is associated with redness, scaling, or pain. In such instances, once the underlying cause is pinpointed and eliminated, the hair has the potential to grow back, so it is best to consult a doctor if you experience these hair loss symptoms. Put half a cup of rosemary leaves into a pan and add 2 litres of water to it. Simmer the mixture for 10-15 minutes and then let it cool. Strain the mixture into a container and then mix a few drops of wheat germ oil. Wash your hair with a mild shampoo (such as baby shampoo), and then apply the rosemary mixture evenly through your hair. Let it sit for 1 minute, and then wash your hair thoroughly with lukewarm water. 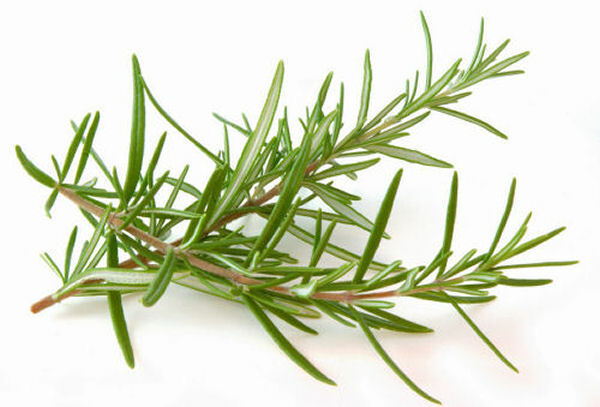 Rosemary can often be found in the produce section of most grocery stores. Seeds can also be purchased if you want to grow this herb at home. The seeds of psoralea are commonly used in Indian Ayurvedic medicine. A recent study found that regular consumption of psoralea extracts by fourty-five bald men over a six month period resulted in hair that was completed restored in 36 percent of the cases, and a significant restoration in another 30 percent of the cases. Therefore, a simple remedy for hair loss is to eat 3 to 9 grams of the seeds daily. They can be consumed throughout the day with every meal by using the seeds as toppings on your favourite dishes. Dried psoralea seeds can be found at some Asian markets and herbal shops. Psoralea can also be found in powdered form in order to make herbal teas. Aloe Vera has been known to help balance the pH level of the scalp while also cleansing the pores. As a result, it has been used by many cultures to prevent hair loss and to promote healthy hair. A common remedy is to combine Aloe Vera gel with a small amount of wheat germ oil and coconut milk to create a shampoo that can be used daily to treat hair loss. Mix equal amounts of jatamansi and brahmi into a small container. Add 1 teaspoon of this mixture into 1 cup of hot water. Drink the hot water mixture 2 or 3 times a day to relieve stress. Jatamansi and Brahmi can be found in most Ayurvedic health shops, or you can purchase them online from large retailers such as Amazon. Note: As a safety precaution, avoid using jatamansi and brahmi during pregnancy since there are no clinical studies studying the effect of these herbs on unborn children. There is a new eBook that claims to provide a herbal remedy that can stop hair loss, using only plants and roots that are available at your local grocery store. If anyone has any experience with this remedy, please post your comments or review below. I got myself some Jatamansi and Brahmi powder to help with a holistic way to stress relief, and followed the recipe above, but I find it quite difficult to drink the mix. It smells and tastes like mud. Is there any other way to ingest the powder? Please help! AC, How long before you saw positive results and can you give a follow-up as to where you are at now with the hair regrowth and perhaps correction of the underlying cause of hair loss? Also, are you still satisfied with the recipe or did you discover any modifications along the way? I am a 55 year old woman who lost all her hair. I will try what you have posted here as I have already tried other remedies in vain. Thank you for sharing this message with me. My husband was losing hair and I tried 1/4 tbsp castor oil, 1/4 tbsp coconut oil and 1/4 tbsp of vitamin E and his hair is coming back and his head looks fuller. He is applying this mix every night and massaging it into the scalp for a little bit before going to bed. Using home remedies or natural products is much better than using shampoos with harsh chemicals in - my advice - use as much natural stuff as possible and ditch the man-made rubbish! I have split ends and also my hair falls a lot. Please suggest me how can I get rid of this problem. Also I want my hair to grow longer. "Baby shampoo" is not actually gentle on the hair. It's high alkalinity means it doesn't sting, but it does remove everything and more from the hair and scalp. Great, very great. I tried the olive oil treatment immediately for the first time. Hoping for the best! I am a licensed Esthetician and I recently experienced alopecia due to an auto-immune condition. I've never experienced hair loss and prefer natural and Ayurvedic methods of treatment oppose to chemicals. I have developed a remedy that works for me. No detergent (sulfide, sulfate, SLS) shampoos. I used a herbal powder mixture of Amla, Brahmi, Shikakai,Tulsi (Holy Basil Leaf), Methi (Fenugreek), and Neem on my healthy hair and a hair pack with powdered Amla, Tulsi, Methi, Soapnut and Neem. I mix a tablespoon of each with, one tablespoon of hair oil (mixture of Unrefined Virgin Coconut Oil, Almond Oil, and Rice Bran Oil infused with Stinging Nettle, Rosemary, Horsetail, Burdock Root, Lavender Essential Oil, and Tea Tree Oil) and warm water to make a paste. I do this weekly and the hair pack on the affected area twice a week. I also use the oil as a conditioner and apply one drop twice a day to the area and massage it in to increase circulation to that spot. I take a hair, nail, and skin vitamin in addition to my multi vitamin. The alopecia occurred at the end of March leaving me with a huge bald spot. I have significant hair growth and the area is filling in rapidly. The regimen above has worked for me! However, I know the cause of my hair loss, it is important to know the cause in order to treat it. It could be caused by allergies, disease, medication, hormones, environmental/ free radicals, etc. As a licensed esthetician, I advice to Consult a physician to determine the cause, but if possible treat natural and not chemically (prescription meds).